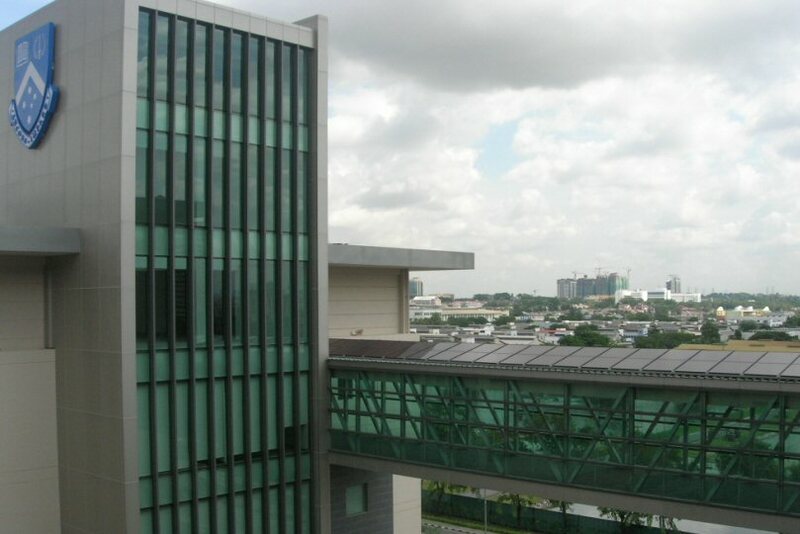 Summary Monash University's new campus in Bandar Sunway has the distinction of being a model building for the Malaysia's Building Integrated Photovoltaic (BIPV) programme, aimed at showcasing the concept of incorporating photovoltaic systems into a building during the construction phase. The BIPV system was installed onto the roof of a bridge linking two of the campus' buildings, with the purpose to demonstrate that it was possible to incorporate PV technology into a building without affecting its architecture. The layout of the PV modules has been optimised for the bridge and it features two inverters to cater for the shaded and un-shaded areas. The BIPV system installed capacity is 7.36 kWp using the thin film technology. which can produce higher energy yield under Malaysian climate and environment.